The Ice Dragon Cometh … Again? Today is WORLD DAY OF THEATRE FOR CHILDREN AND YOUNG PEOPLE … catchy little title isn’t it! I have a half-remembered quote from Ken Russell about children’s theatre (if anyone can remember or can find the original quote then let me know) “To make good children’s theatre, you make good theatre and don’t let adults in” … something like that. The reason I mention this is that it is a truism that so many people seem to forget. I have seen so many plays for children and “young people” (aren’t children young people too? ), where the company making the theatre have created something that is brightly coloured and bland, condescending and disdainful, pointless in every way apart from making them a few quid and the theatre that they produce is generally beneath contempt. I have only once been so outraged by something enough to telephone the local radio station. This was a number of years ago in a town called Portsmouth. There was a well-known “celebrity” in a professional (I use the word loosely) pantomime. She, for it happened to be someone of that gender, was being interviewed on the local radio station. The interviewer said, “it must be enormously tiring doing so many performances every week”. The “celebrity” replied, “yes, it is but the matinees are mainly kids so we take it easy in them and pull out all the stops for the evening performances when there are a lot more adults in the audience”. I rang the radio station immediately and with venom and disbelief welling up inside me , I asked to talk to the interviewer and “celebrity”. The person who took my call passed me onto the producer of the programme who would not let me get on air because I might “rock the boat; this is a family show, you know” … I explained to him that families often consisted of adults and children and that in my world and the world of theatre and the arts both were equally important. He could tell that I was “rather cross” and said, in a depressingly condescending way, “that you (meaning me) obviously don’t understand how professionals have to conserve their energy for the important performances …” blah, blah, blah. I didn’t hear the rest of his patronising sentence because I was beside myself with anger. The reason I mention this is because in my thirty-five years of working in the theatre, I have come across this attitude more times than I care to remember. Why? I am not really sure but I think that there is a “pride thing” … actors want to be seen to be good, to be great performers, and often, they misguidedly assume that it is adults who are the best judges of talent. I think that there is also, in some actors, a feeling that performing to children is something that you do whilst you are learning your craft and the real test of their talent, is in front of an adult audience; that you have to go through the performing to children stage before you are allowed out into the real world of performance in front of grown-ups. 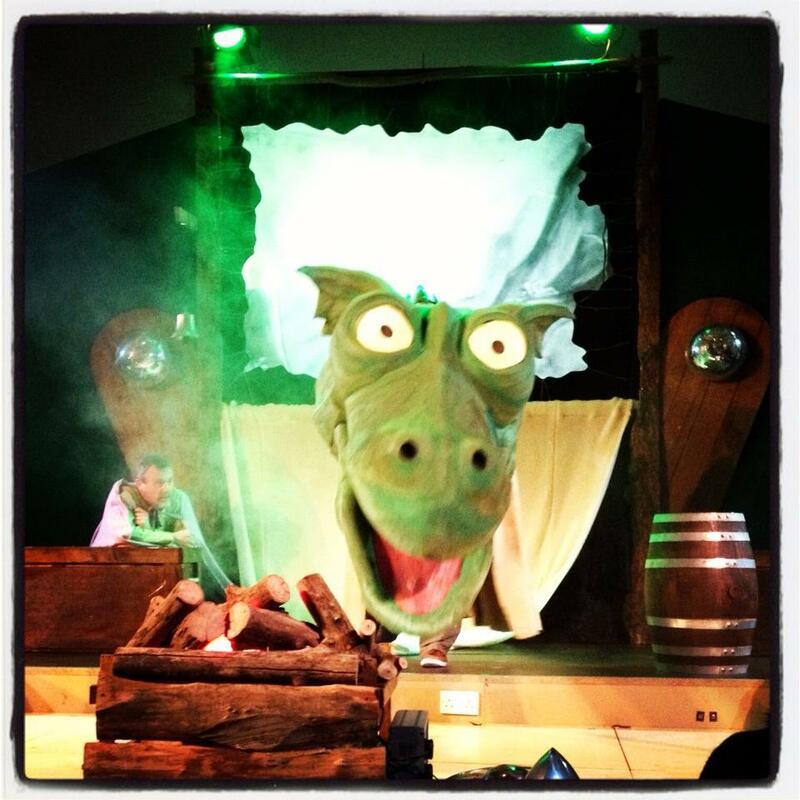 I have also heard companies say, “We just do children’s theatre to make a few quid”. There seems to be, in some people, a belief that children and young people are not important … and yet I was a child and a young person once. 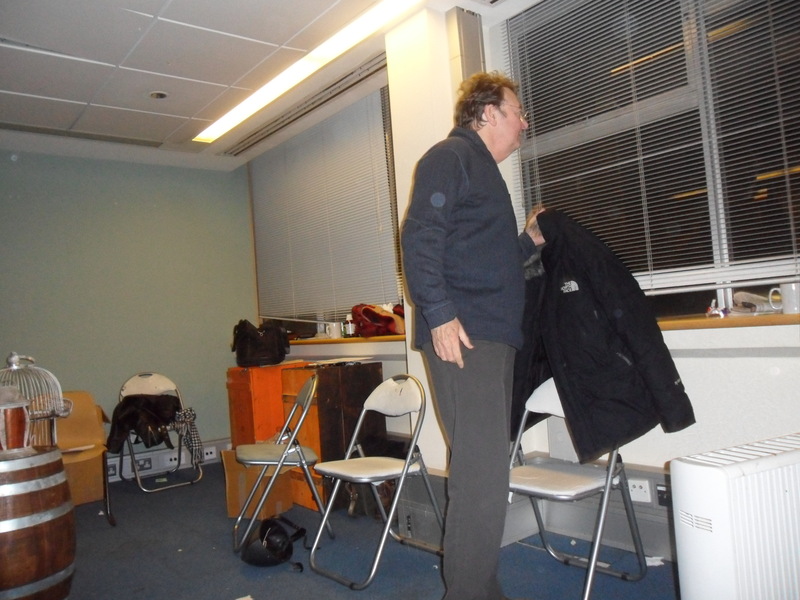 John Wright, who directed the play, is a world renowned director, he has created shows all over the world, with different companies, in different styles and with one audience in mind … the one who comes to see the show. We know that because of the content of our play, the majority of people who come to see it are family audiences; usually one or two parents with their children. Sometimes it is grandparents with their grandchildren and sometimes it is just adults. The play is designed as good theatre that lets everyone in. It is not a children’s show, it is certainly not a “kidz” show; it is a show for people. 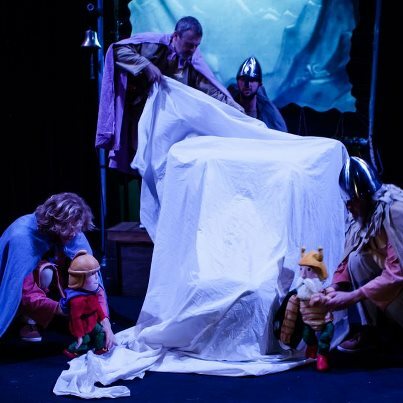 We crafted the show, based on the original stories of Oliver Postgate and Peter Firmin, to charmingly, inventively and beautifully share a story. But as Michael Morpurgo said, “The power of theatre, whether for young or old, lies in the collaboration of stories and ideas, the actors (and everyone back stage too of course) and most importantly the audience – we all make the play together, live it together, suspending disbelief together, bound in the same imaginative endeavour”. Our theory of theatre is that everybody in the room, whether it be a theatre, an arts centre, a village hall, a disused Victorian Slaughterhouse, or wherever, are all in it together. We create this ephemeral event between us and because of that we are all as important as everyone else. At the end of the performance we come out and chat … we don’t disappear into a dressing room, rub our hands and say, “next”; we want to meet you, to chat to you, to find out a bit about you, to find out if you enjoyed the event and even ask if there were bits you didn’t enjoy. This to us is what theatre is all about! We are very proud of The Saga of Noggin the Nog … we are still playing with sections of it, still tweaking it, still altering little bits here and there, to make it as good as we possibly can … we will not “make do”. In fact, yesterday, we had a day long meeting to discuss, not only the performance and how we can make it better but also, what are we doing with it next. As you can see from the Where and When section of this blog, we still have a dozen or so performances left on this leg of the tour (do try and see the show if you haven’t already). And we would like to extend the tour or, more precisely, create a new tour … we have had so many wonderful comments about the show from so many people we feel that it should definitely be seen in a lot more theatres. And we are enjoying it! Yes, we need to earn money, like everyone else, to pay the mortgage, the phone bill, buy food and shoes but if we were just interested in money we would be bankers not theatre makers. The desire that we all have to meet people and to create and share our stories is what drives us. The Saga of Noggin the Nog will return (if we can raise more money) so do pop onto this blog regularly to see what we are up to and share it with as many friends as possible. ← On the road … number 1. Hi Clive, it was Ken Campbell!